Can You Believe that We Believed That? Centuries ago people generally accepted without question and as “fact” that the earth was flat. Everyone now but a few know that this is not true and finds it preposterous that people once believed that. Even more egregious, was the fact that the majority of people in the United States accepted that blacks should be treated as property and counted as three-fifths of a human in the constitution. Race is merely a social construct. Race was invented but nevertheless, people readily accepted the concept that there was more than one human race. People were divided by the color of their skin and racist systems were devised to keep the lie perpetuating. 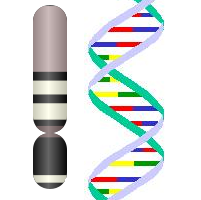 When the human genome was decoded in 2000, scientists discovered that over 99.9% of our DNA is identical and that everyone alive today is related. Fantastic! Really, spend a little time with anyone else and you’ll find either a friend, or just evil. And even this evil, is not that different from yourself. We must learn to listen.